Labour says it will bring forward its pledge to scrap tuition fees to include students starting university in England this autumn if it wins the election. It said the cost was factored into the £9.5bn annual bill for scrapping fees. The Tories said more poorer students than ever were going to university, and the Lib Dems said better-off students would gain most from ending fees. The announcement comes as the deadline for people to register to vote approaches - they have until 23:59 BST on Monday to sign up. Labour announced it would abolish university tuition fees - which are due to rise to £9,250 a year in the autumn - in its manifesto last week. 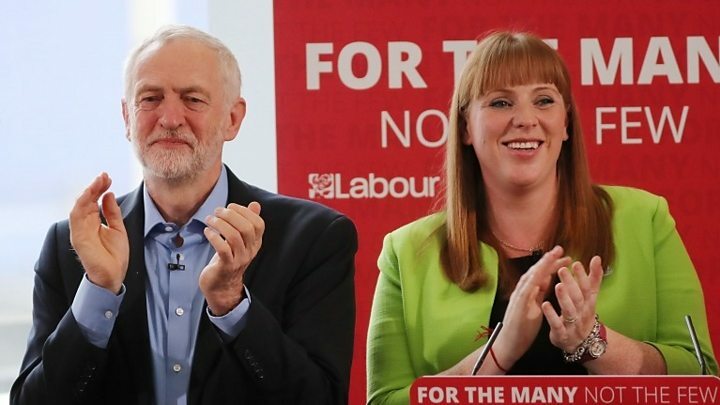 Labour's shadow education secretary Angela Rayner told BBC Breakfast that people coming out of university now face debts of up to £44,000 - a "gut-wrenching" sum which "hangs over them" for years to come. She said that by getting the top earners to pay "just a little bit more", Labour can "stop our young people from going through that hell of having that much debt". Put to her on BBC Radio 4's Today programme that axing frees would benefit the wealthiest graduates - who currently repay the most in tuition fees - Ms Rayner said: "You've got young people, regardless of their wealth, that are leaving university after working hard, they've finally got their degrees, they're going into their job for the first time, junior doctors etcetera, and they're saddled with debt for years and years. "Whether they pay back that debt or not, if you've ever had a huge amount of debt hanging over your head you know how that feels." Labour said legislation would be in place for students starting university in the autumn of 2018 - but that a Labour government would immediately write off the first year of fees for those starting a year earlier. Labour, which has also promised the return of maintenance grants to cover living costs, said it would protect people who had already graduated from inflation-busting interest rises in future years. Former Lib Dem leader Nick Clegg said scrapping fees was the "wrong choice" at the moment and he did not know how Labour would pay for it. The Lib Dems made a manifesto commitment before the 2010 election not to raise fees but abandoned that in coalition government with the Conservatives, a U-turn for which they were strongly criticised and which was partly blamed for their dramatic loss of support in the 2015 election. How do tuition fees work? Universities in England can charge up to £9,250 a year for undergraduate courses from this autumn. The tuition fees will then increase every year with inflation. Students can borrow loans to cover tuition fees, which are paid directly to the university. They can also take out loans for living costs - with the amount that can be borrowed decided by means testing. Parents are expected to cover any costs above this maintenance loan. Interest on loans, which is rising to 6.1% this year, is charged from as soon as students begin their courses. But the loans are not paid back until after graduation and when former students earn more than £21,000. The rate you pay back is 9% of your income over the £21,000 threshold. If you do not finish repaying within 30 years, the rest of the loan will normally be written off. 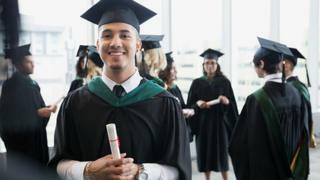 The average amount owed by university graduates in England averaged £44,000 last year, figures from charity the Sutton Trust suggested. Total outstanding student debt in England was at £76bn. There are lower levels of fees in Wales and Northern Ireland. In Scotland there are no tuition fees for Scottish students. There have been rows in Scotland, however, about the gap in access to university between rich and poor students. Mr Clegg told BBC Radio 4's Today that under the repayment system put in place by his party, no graduates paid fees up front and Labour's changes would see people "who have never been lucky enough to go to university" subsidising those who do. "Let's be very clear what this is for - it is to relieve graduates in the future of the need to make any contribution to their university education while, and here is the odd choice, not reversing a lot of the very punitive and aggressive benefit cuts which will affect some of the poorest in the country," he said. "If the choice is between the poorest and some of the richest graduates of the future, I would choose helping the poorest." Education is a devolved matter, with only Scotland charging no tuition fees for Scottish students, although research suggests Scotland also has a bigger access gap between rich and poor students than the rest of the UK. Responding to Labour's tuition fees pledge, the Conservatives said: "Only by getting Brexit right will we be able to help young people get on in life and make the most of their talents."